Rediff.com » Movies » Are you ready to love Sonam on screen? Are you ready to love Sonam on screen? Sonam Kapoor screens her new film for family and friends. 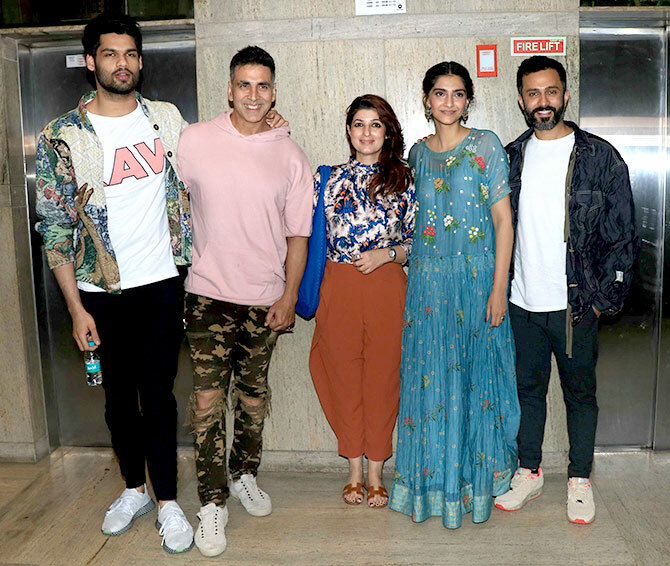 After screening Ek Ladki Ko Dekha Toh Aisa Laga for movie legends Helen, Waheeda Rehman and Asha Parekh, Sonam Kapoor invited her family and friends to watch her new film. Directed by first timer Shelly Chopra Dhar, ELTDTAL is produced by Shelly's brother Vidhu Vinod Chopra. Sonam Kapoor feels "Indians are not as regressive as we think they are". 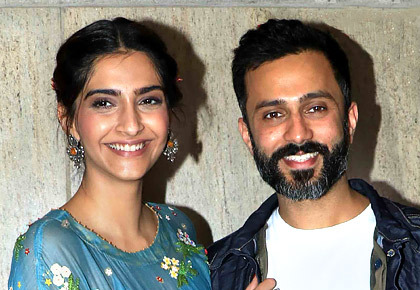 Sonam with husband Anand Ahuja. Sonam's PadMan co-star Akshay Kumar with Twinkle Khanna and her cousin Karan Kapadia who makes his movie debut later this year. 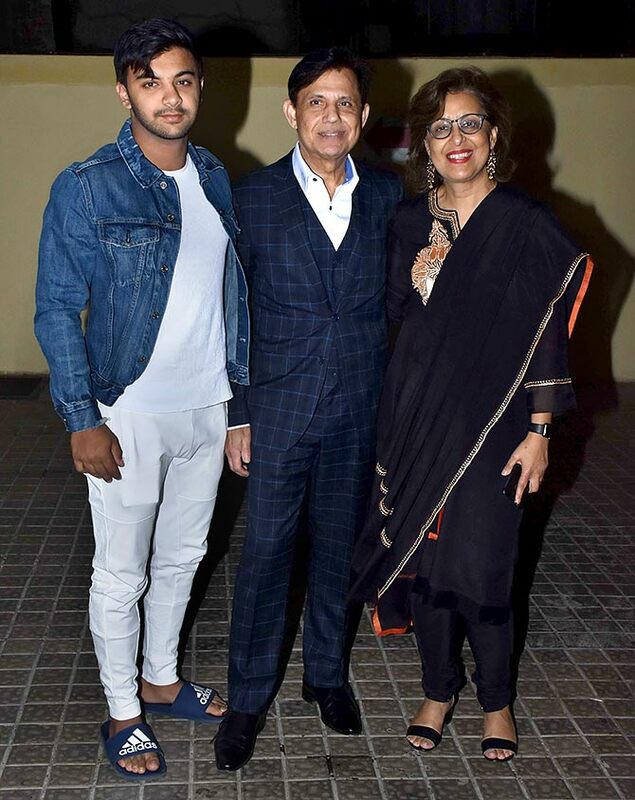 Director Shelly Chopra Dhar with her husband and son. Juhi Chawla looks gorgeous in white and silver. Swara Bhaskar, Sonam's close friend. Anil Kapoor, who his younger daughter Rhea revealed on Koffee With Karan, treads on the proverbial egg shells around Sonam. 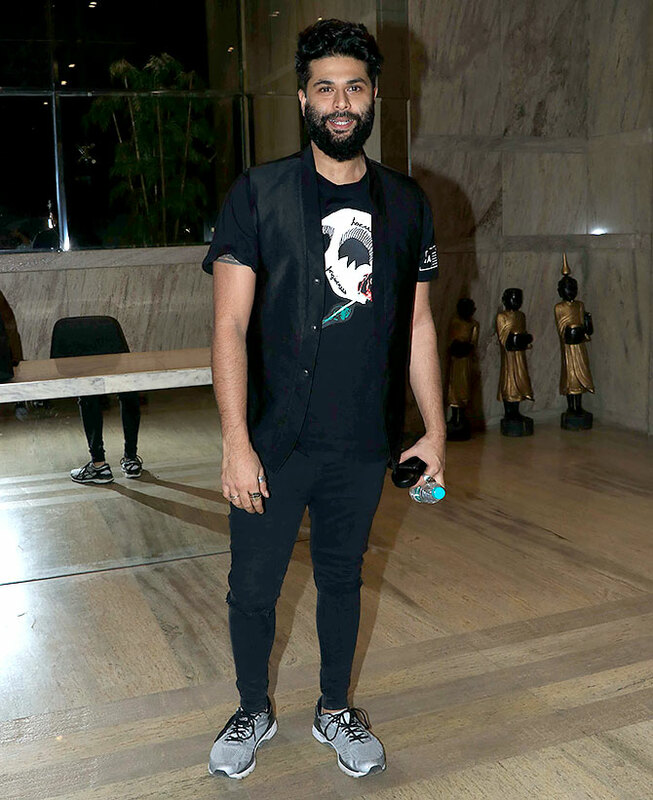 Designer Kunal Rawal, one of Sonam's buddies. Is Nora hotter than Daisy Shah? VOTE!